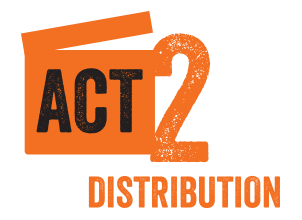 Act2 distributes Australian National Theatre Live productions to cinemas, arts centres, community halls and audiences across Australia. Act2 is at the forefront of the digital broadcasting revolution, producing and developing new ways of bringing the best of Australian theatre from our most famous theatre companies to audiences across the country. High-profile productions can now be filmed and screened without restriction to local audiences who can’t see them live because of distance, availability or affordability. These digital broadcast technologies have transformed the way we experience the arts and there’s now no reason great theatrical performances should be limited to a short time in a big city far away. Together with our production company, Australian National Theatre Live, we have taken advantage of these new directions in digital film-making and distribution to bring the excitement of a night at the theatre to audiences wherever they are. Research shows digitally broadcast theatre attracts new audiences to the arts stimulating a keener interest in the live-performance industry, increasing box-office receipts and creating new sources of cultural and economic value. Our films are carefully produced by skilled film-makers to the highest quality and we aim to complement rather than substitute for the live experience. Our films allow the audience a close-up view of our finest actors displaying their craft, with perfect sound quality and with production values not available from the back of the upper circle in a metropolitan theatre. Audiences report a higher level of emotional engagement with these screened plays than those that attending the live performance. In partnership with some of the country’s best theatre companies, Act2 and Australian National Theatre Live are shifting ways in which cultural institutions engage with their patrons and audiences, offering new services and arts experiences. It’s a partnership which aims to foster the best of live performance with the digital world, two halves of an exciting new arts environment sharing the thrill of the theatre to a much wider audience than could ever be achieved during one short season at a metropolitan theatre. Promote and develop the live-performance industry. Share great Australian theatre with audiences everywhere. Record and preserve our playwriting and performing heritage. Encourage and promote writers, performers and theatre practitioners. Create a rich resource for students and theatre lovers in rural and regional Australia.